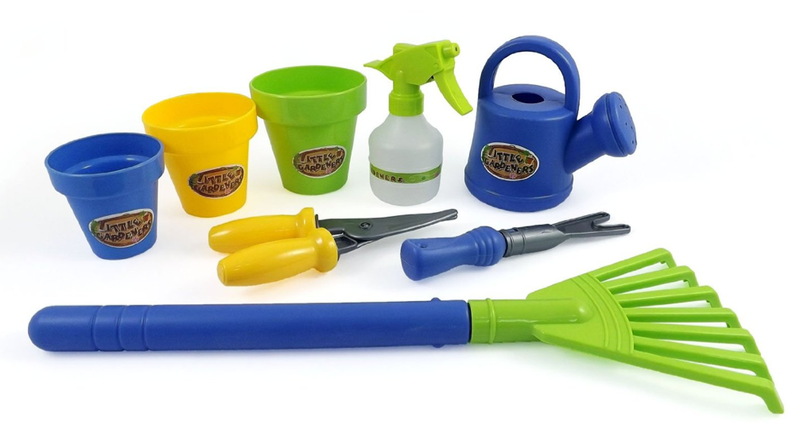 Little Gardeners 8 Piece Gardening Tool Set for Kids $6.95 + FREE Prime Shipping (Reg. $15)! You are here: Home / Great Deals / Little Gardeners 8 Piece Gardening Tool Set for Kids $6.95 + FREE Prime Shipping (Reg. $15)! Does your little one love to help you plant veggies and trim the hedges? Let their imagination run wild with this super cute Little Gardeners 8 Piece Gardening Tool Set for Kids priced at only $6.95 (Reg. $15) right now!